Discover a hidden gem of Elgin, IL at Willow Lake Estates. The age-qualified community is quietly tucked away from the hustle and bustle of the big city. 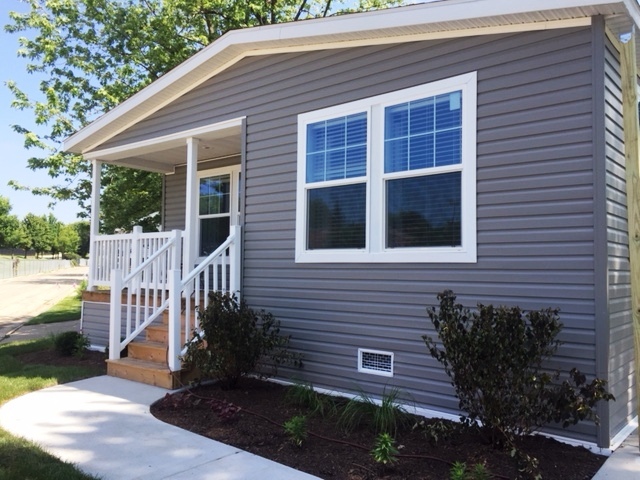 Bordered by the Fox River, you are greeted with mature tree lines and natural landscaping right outside your doorway. Access the Illinois Prairie Path, just across the river, and take a stroll through history on the nicely paved walking and biking trails that were once fully functioning railroad tracks. Nearby the pedestrian bridge, there are nesting areas for birds and a commonplace to spot eagles. The pathway spans 61 miles, making it the perfect place for a quick stroll or an extended-day adventure for active adults. Even transportation is made simple with bus access and quick two-minute commute to the interstate. There are many opportunities nearby for entertainment, relaxation or simply making everyday trips to the grocery or doctor's office. Find a diverse selection of restaurants as well as arts and entertainment, too. As a resident of the community, you can enjoy the benefits of living a maintenance-free lifestyle. Your site rent includes regular grass cutting, snow removal, use of our private stocked lake, community clubhouse with fitness center, library, and heated outdoor swimming pool. Discover the place where comfort and convenience come easy at Willow Lake Estates. I would like more information regarding the home at 1095 Lakewood Road, Elgin, IL 60123 at Willow Lake Estates.